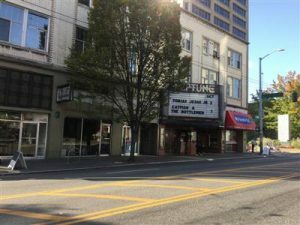 The Neptune Theatre, located on the corner of 45th and 13th ave in the University District, was built in 1921as part of a collection of neighborhood movie theaters owned by the Puritan Theatre Company. Its grandiose organ and accommodation for over 1,000 patrons earned it the reputation as the perfect place for a night out. With the rapid rate of change in the film and entertainment industry, adaptation is crucial to survival. 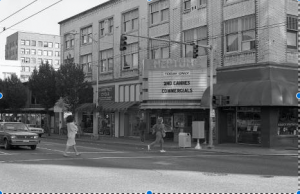 The Neptune changed ownership from the Puritan Theatre Group to Jensen von-Herberg Theatres, Evergreen State Amusement Corp., Sterling Theatres, Landmark Theatres, Landmark Theatres, and the current owners, the Seattle Theatre Group. One short-coming I noticed with the resources I found was that, while I’m certain each new owner must have made some sort of change (cosmetic, technological, etc. 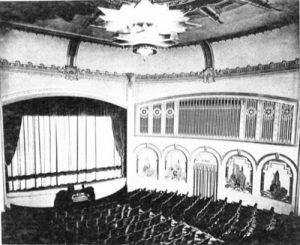 ), the only documented changes were more recent and large-scale, like the 2011 renovation that turned the Neptune from a movie theatre to a live, performance center. This lack of context made interpretation slightly tricky. This assignment was good practice for “reading between the lines”. As a member of the present University District dwelling society, I know that is a cool place to be, especially because it has prevailed through many trying times in our nations economy. Coupling my knowledge as a citizen of the present with the historic documents available painted a picture of a hub for entertainment that has, despite all odds, withstood the test of time. 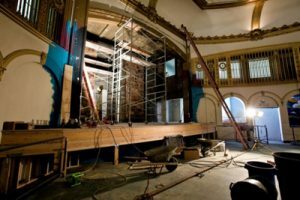 This entry was posted in Historical Archaeology Class Blog (Winter '17), Seattle History '17 and tagged seattle, Seattle History, The Neptune Theatre by dornfb. Bookmark the permalink.